We have several seating configurations available depending on the size of your party. All parties at the shoppe include a scavenger hunt and gelato. We select a 1/4 pound of candy and send the kids off to find it throughout the shoppe. The difficulty of the hunt is determined by the age of the partiers. The candy found during the hunt is packaged by us and given back to the partiers as they leave. We just want to have a scavenger hunt and gelato. Can we do that? Absolutely! We are often the last stop from parties at other local businesses. Actually, we do more of these than anything else. Depending on the age, you can expect to spend about 30 minutes in the shoppe. Cost per person is $15.95. Advance notice is appreciated, but we can whip up a hunt in no time if there is a party emergency. $100 an hour plus $15.95 a person. You can bring food, cake and whatever else you want. We will set up the tables and can accommodate up to 20 partiers depending on their age. Monday through Thursday is $300 an hour plus $15.95 per person. Friday through Sunday is $400 an hour plus $15.95 per person with a minimum of 15 people. A 10% gratuity will be added for private parties. 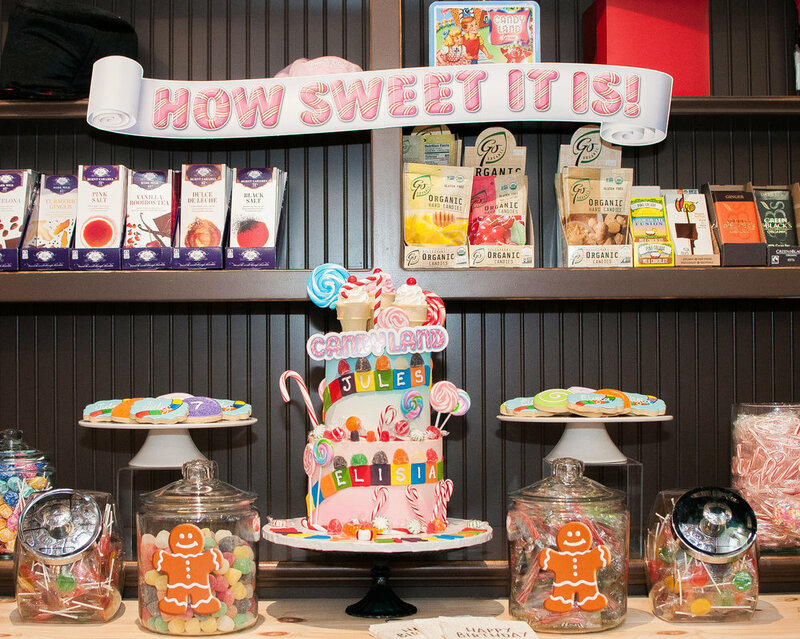 I-Spy, make candy necklaces, decorate cupcakes with bulk candies and color on the butcher paper covered tables. To schedule a party, fill out the form below. You can expect us to reply within 24 hour.